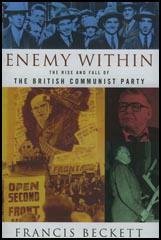 Ernie Cant joined the Communist Party of Great Britain (CPGB) in 1920 and was given the post of London organiser. 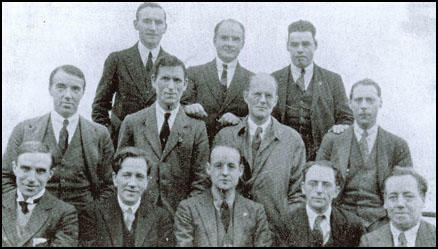 On 4th August 1925, Cant and 11 other activists, Jack Murphy, Wal Hannington, Harry Pollitt, Tom Wintringham, John R. Campbell, Hubert Inkpin, Arthur McManus, William Rust, Robin Page Arnot, William Gallacher and Tom Bell were arrested for being members of the CPGB and charged with violation of the Mutiny Act of 1797. John R. Campbell later wrote: "The Government was wise enough not to rest its case on the activity of the accused in organising resistance to wage cuts, but on their dissemination of “seditious” communist literature, (particularly the resolutions of the Communist International), their speeches, and occasional articles. Campbell, Gallacher and Pollitt defended themselves. Five of the prisoners who had previous convictions, Gallacher, Hannington, Inkpin, Pollitt and Rust, were sentenced to twelve months’ imprisonment and the others (after rejecting the Judge’s offer that they could go free if they renounced their political activity) were sentenced to six months." It was believed that this was a deliberate action of the government to weaken the labour movement in preparation for the impending General Strike. 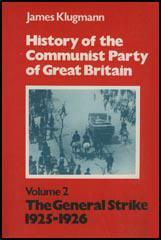 At the Labour Party conference in October, 1925, the reactionary forces organised by MacDonald rejected, by an overwhelming vote, a resolution calling for Communist affiliation to the Labour Party and endorsed previous decisions that no Communist could represent his union in any Labour Party organisation, and that no Communist should be allowed to be an individual member of the Labour Party. This was a signal to the Government. So a few days later it arrested twelve Communist leaders on a charge of “seditious conspiracy”... Arthur MacManus (Chairman); William Gallacher (Vice-Chairman); Albert Inkpin (Secretary); Harry Pollitt, J. R. Campbell, Tom Bell, William Rust, J. T. Murphy (members of the Political Bureau); Ernest Cant (London Organiser); Walter Hannington (Secretary of the National Unemployed Workers’ Movement); Robin Page Arnot (of the Labour Research Department who had been active in preparing the miners’ case, and Tom Wintringham (Assistant Editor of the Workers’ Weekly). Harry Pollitt was Secretary of the National Minority Movement and J. R. Campbell was Acting Editor of the Workers’ Weekly. The Government was wise enough not to rest its case on the activity of the accused in organising resistance to wage cuts, but on their dissemination of “seditious” communist literature, (particularly the resolutions of the Communist International), their speeches, and occasional articles. Campbell, Gallacher and Pollitt defended themselves. Five of the prisoners who had previous convictions, Gallacher, Hannington, Inkpin, Pollitt and Rust, were sentenced to twelve months’ imprisonment and the others (after rejecting the Judge’s offer that they could go free if they renounced their political activity) were sentenced to six months. The sentences did not intimidate the Communist Party. An emergency leadership, which included Bob Stewart, George Hardy, Andrew Rothstein, Aitken Ferguson, and Emile Burns took over, and the entire activity of the Party was intensified. The circulation of the press grew; new members were made. A powerful campaign for the release of the prisoners was launched, in which 300,000 signatures were collected; but the main activity of the Communist Party was to induce the working class movement to prepare for the next round of the struggle.